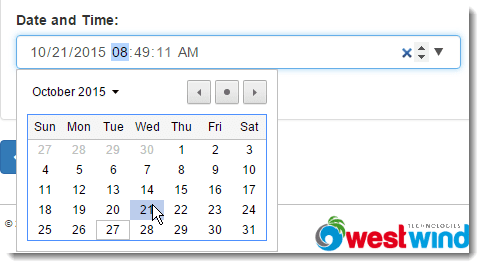 Creates a date entry control that allows automatic date capture and conversion. 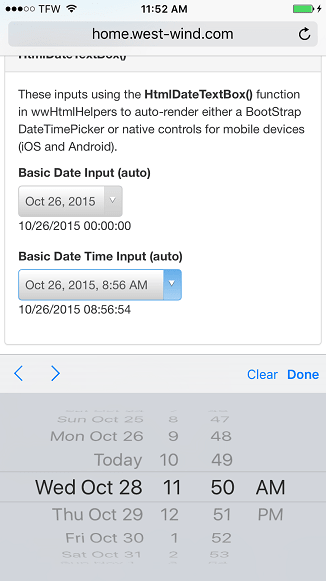 In auto modes the control will render a BootStrap DateTimePicker or - on mobile devices - a native date time picker control. Values are retrieved properly regardless. Name of the control to create. Optional attributes for the date input control. 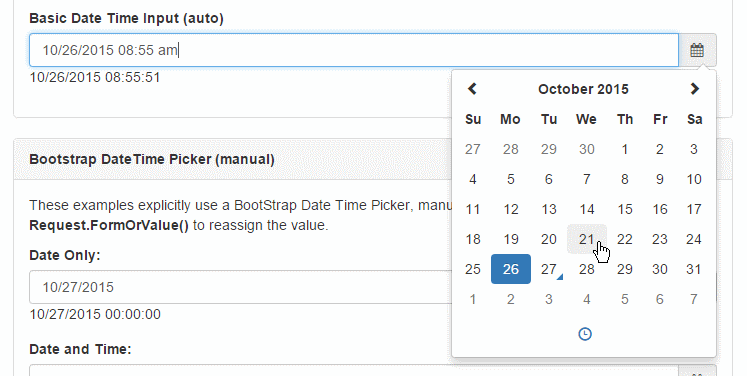 If the control renders as bootstrap datepicker the attributes are applied to the input control that is part of the input group. If you want to set the attributes of the actual top level container use the lcContainerAttributes parameter. Attributes applied to the input-group container that holds the input control. Useful for controlling the width of the control.